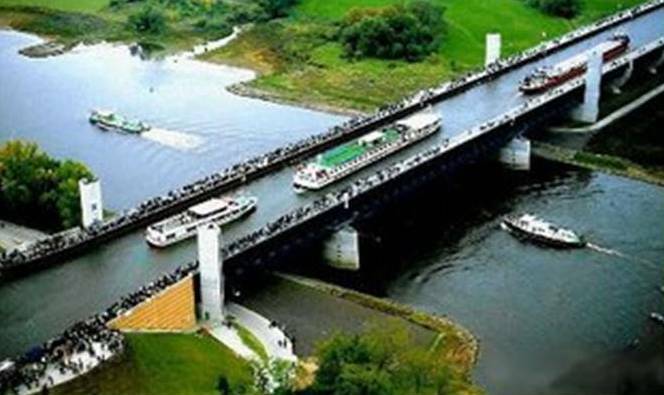 The 918-metre Magdeburg Water Bridge (German: Wasserstraßenkreuz) is a navigable aqueduct water bridge in Germany, completed in October 2003. It bridges the River Elbe to connect two important German shipping canals; the Elbe-Havel Canal and the Midland Canal. The canals meet near Magdeburg on opposite sides of the river and lead to German's industrial heartland in the Ruhr Valley.